The steel internal parts to your pump are coated to prevent corrosion. this gives the parts a satin black finish without effecting the dimensional clearances of the components. If you want to re-black the internal parts of your pump you can do this at home with the cold dip kit from www.frost.co.uk/coatings/metal-blacking-kits.html The kit is simple to use as it is at room temperature. You simply dip the parts into the three chemicals and watch them turn black. I pre-clean most of the parts in an acid solution in my ultrasound bath first as this gives a better finish but a cleaning chemical is provided. When finished the parts look brand new. To re-black the magnesium pump castings and cover plates to the factory finish is a two stage process is required. You can get the chemical kits to do this at home by going to www.chemical-supermarket.com/Black-Chromate-Dye-p484.htmlfor the blacking dye and www.chemical-supermarket.com/Magnesium-Treatment-Kit-p421.html for the Alodine pre-treatment kit. www.henkelna.com also sell the kits direct form their own web site. 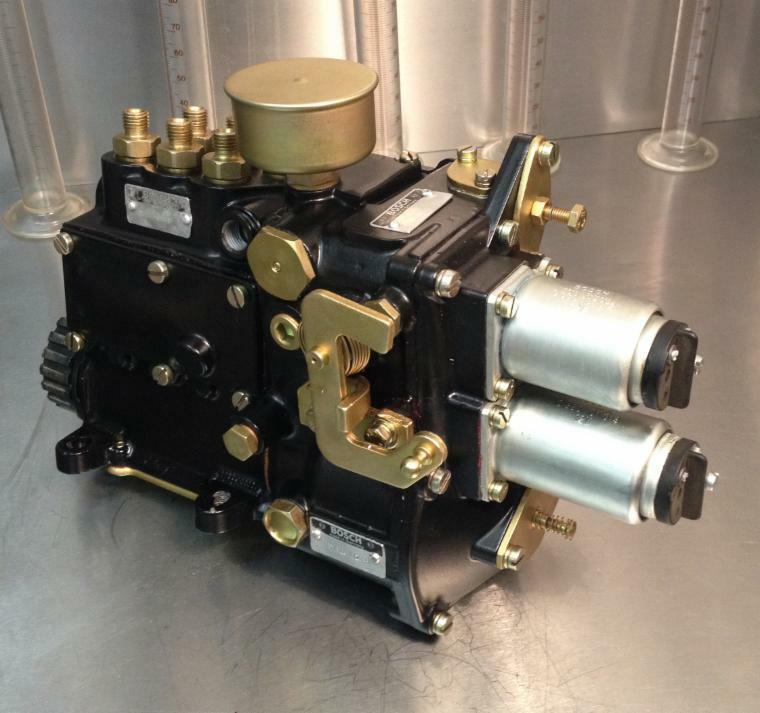 As an alternative you can powder coat the casings as seen below on this 69S pump I did recently. To do this the castings must be masked up inside the tappet chest and some other areas. I like this finish as its very durable and looks very nice and I find the factory finish is somewhat hit and miss. The fittings on the outside of the pump are finished with a yellow Zink electroplated finish. Many plating companies have stopped providing this service as it has been outlawed by the EU for new electrical and automotive parts. Some firms will however still plate the parts to the original specification on request.